Widowed Mr. Penderwick takes his four daughters on a vacation to stay in the guesthouse of a posh mansion owned by the snooty Mrs. Tifton. Sisters Rosalind, Skye, Jane, and Batty (ages 12 to 4) engage in humorous hijinks with the help of Mrs. Tifton's very interesting son Jeffrey, two rabbits, a cute gardener, and the family dog Hound. I so completely love this book. If Anne of Green Gables and Little Women met, had a baby, and sent it to live in modern times the result would be this book. I adore every single thing about this book. Have you ever watched a show like Full House where you might snicker a little over how corny it is, but secretly you wish that could be your life? Maybe it's just me, but when I watched that show I wished I could live there with a dad who always knew the exact right thing to say to make me feel better, a family who loved me unconditionally, and sisters who were my very best friends. There was just so much love (cue the emotional music)! This book is like that. The warmth and loving guidance of Danny Tanner or Marmee March are perfectly captured in Mr. Penderwick. The bond of sisterhood is alive and strong with Rosalind, Skye, Jane, and Batty. And, just like the March girls, I can't decide which Penderwick sister I like the best. Each is endearing and relatable in unique ways. They all wear their hopes, fears, and feelings on their sleeves, and I found myself able to relate to each sister and remember when I too went through my first unrequited love, my first realization that boys could be more than icky, my attempts at creativity, and my imaginative play. While the Penderwick girls remind me strongly of Little Women they don't ever feel like cheap ripoffs. Instead, they feel like reincarnations, fully alive, similar, yet distinct. This doesn't feel at all like cribbing from a classic. It feels like going home. The plot is equally engaging, though certainly bolstered by the strength of the characters. Each scene reads like a perfect gem. Hilarious, touching, endearing, and heartbreakingly real, I treasured every event I read. The plot may sound simplistic, but believe me when I say I was entertained throughout. I laughed my way through and never once was I bored or felt the story lagged. On the contrary, when I turned the last page I immediately went online to see if there was a sequel. And there is! There are five books planned with two published and one on its way in the summer of 2011, though each can be read as a standalone. This is a middle grade book recommended for ages 9-12. While it is certainly appropriate for that age group (my library kids love it), it is equally enjoyable for YAs and adults. There is a timeless and ageless quality to this book. 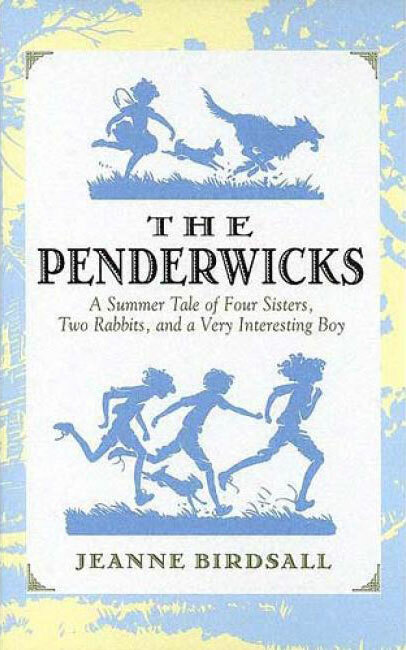 The Penderwicks won the National Book Award and it is well deserving. I wouldn't be surprised at all to see this one considered a classic in years to come. I've read another positive review of this book somewhere else - I am definitely going to have to check this one out! It sounds like such a fun and heartwarming read. Heartwarming is the perfect word to describe this book. Heartwarming and hilarious. I hope you enjoy it! When I first started reading this review, I thought, "this must be a classic that I just haven't heard about" and it wasn't until I looked at the publication date that I realized it wasn't. There's just something about it that, as you said, has a timeless quality to it. Yet another book to add to my TBR. I've never heard of this book! And I agree with Aylee, I thought for sure it was some classic story I just wasn't exposed to in school:) Thanks so much for sharing your fabulous review, glad to know there are more books coming, I love new series! Based on this description: "If Anne of Green Gables and Little Women met, had a baby, and sent it to live in modern times the result would be this book" I just may have to pick it up. Love it! Great pick! Thanks for joining!!! This is one of my FAVORITES as well! There is one sequel out now that is every bit as good as the first and a third Penderwicks is coming out this spring! You had me at the first sentence. I LOVE "Anne of Green Gables" and "Little Women". I must read this then! I am so glad you featured this book! I read it this past summer and fell in love with it. 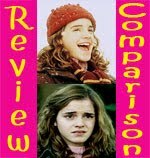 I really should get around to reading the second book...Great review! I absolutely loved this book! I also really enjoyed the second book, and when I did some research I found out there will be 5 books in total, and the next 3 will each be published 5 years apart!!!! "If Anne of Green Gables and Little Women met, had a baby, and sent it to live in modern times the result would be this book." -You have it spot on! So true! I adored this book too, it's just so sweet and has the feel of an old fashioned classic. Well, the cover didn't excite me. Your review did! I LOVED "Full House". My kids and I used to watch it together all the time when they were small. I think it came on Friday nights. We'd pop popcorn and have a blast! I've never heard of this book before. Another very insightful review. Thanks! PS: I thought of another idea for "How To". I sure would LOVE to know how to make a pretty rating system. I've seen fancy stars, cupcakes, butterflys etc. I'd love to know how to do this. This sounds like a book I'll have to check out because I loved Anne of Green Gables (though I've yet to read Little Women). Logan, :D I hope you do! Jana, Oh yes, I loved the sequel too! I have them both on my shelf and I’m counting down the days until the next one comes out! 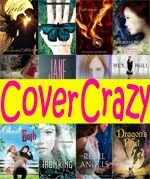 Book Geek, :D If you like those then you’ll love this one! Melissa, I think this is one of those books that you can read at any age and enjoy it. Each sister brings something different and unique to their ages. It’s a book that holds up well to rereads at different points in your life. JessiKay, Yay for another Penderwick fan! The second book is just as sweet. Chloe, I heard five books total, but five years apart??? Oh nooo!! It’s a good thing each of these books ends nicely and without cliffhangers. GreenBeanTeenQueen, She really hit the mark on this one. Your description is perfect. Gina, The cover definitely isn’t eye-catching, but it does fit the book nicely I think with the playing children (the colors on the sequel turn me off). I’m so glad my review helped pick up the cover’s slack! My family did the same thing with Full House!! I’ve added the Hot To idea to my list! 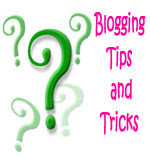 I have a How To post written and scheduled for this coming Wednesday. A Canadian Girl, You should definitely check this out if you love Anne! Her plucky knack for charming trouble is evident in this book too. Best review I've ever seen of this book, considering its one of my favorites. And just a heads up, the forth installment of the series comes out next week!!!! Sadly, I haven't been able to get an ARC of it yet, so I don't yet know what it's about. But if you find time, you should defiantly do a review on it! Thanks! Eeep exciting! I'm so behind though, I still have the third book to read! I pre-ordered it and then never got around to reading it. Shame on me.